Custom halters hand-crafted from the finest Weaver leather. Padded for comfort with either stainless steel or brass hardware. Your choice of design, your choice of crystals....completely custom. Make it as elaborate or as minimal as you desire. Prices range from $200-$250 for halters. Create a custom matching leather lead with chain for $90. 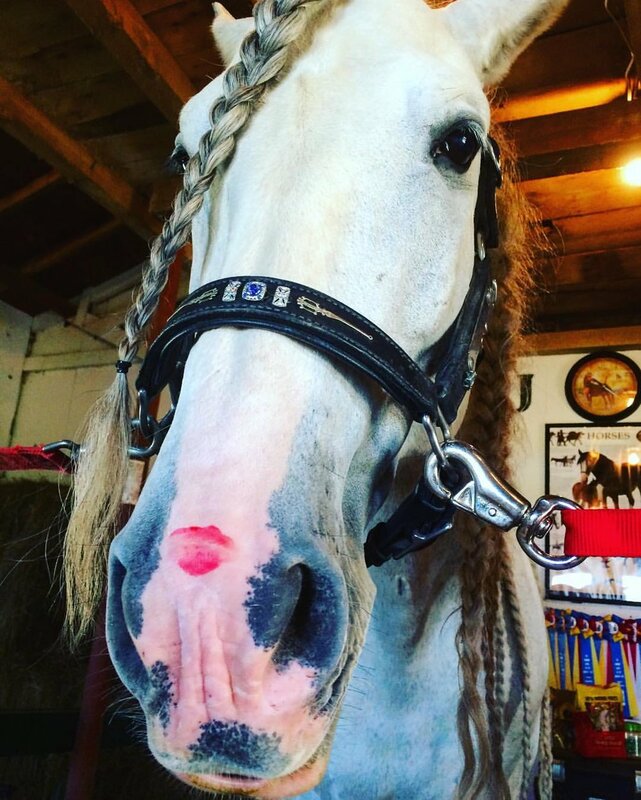 If you purchase the set - halter plus lead - your lead is just $75. Want a baroque feel? Try our Scallop Halters - Elegant and refined, they can be decorated any way you wish and come in all our traditional leather colors. 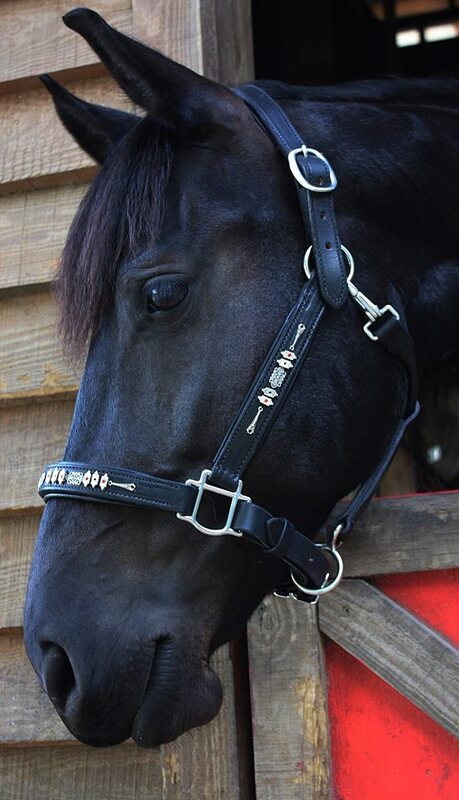 We also offer non-decorated halters. 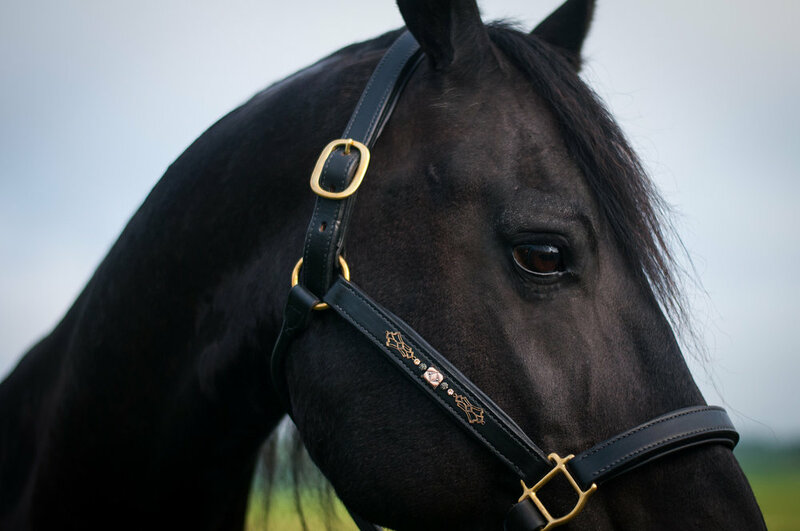 When you want a strong halter, handcrafted with quality Weaver Leather, look no further. 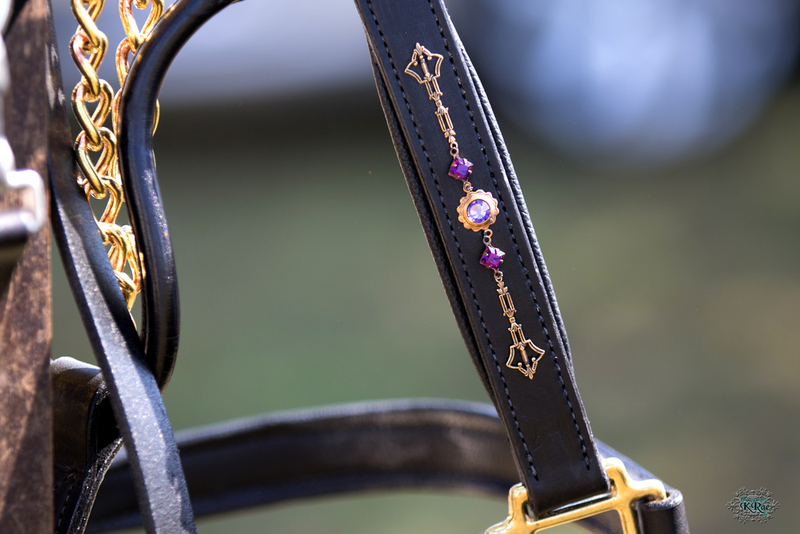 Our non-decorated halters come in an elegant and refined rolled halter option or padded. Leather colors include: Black, London Tan, Chestnut, & Havanna. Padding colors include: Black, White, London Tan, & Havanna. We don't use plated hardware that can flake or rust. We only use solid brass or stainless steel for longevity & strength.